Libby Dimond recently moved Minnows Childhood Goods from downtown Belfast to Renys Plaza. 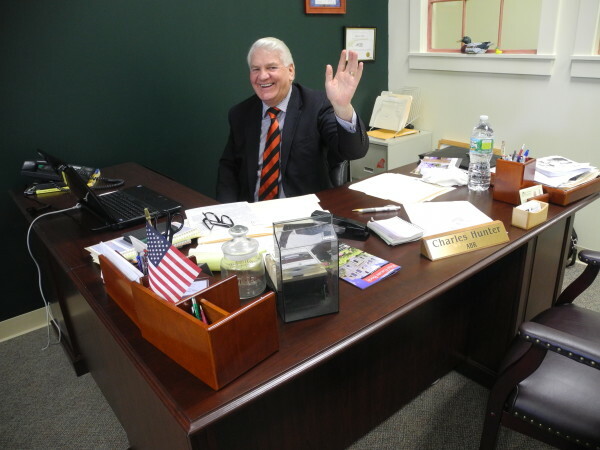 Charlie Hunter's new business, Belfast Maine Real Estate, is located in Renys Plaza. BELFAST, Maine — Since Mr. Paperback closed in the spring of 2012, there has been a big void in Renys Plaza — a 10,000-square-foot one, to be exact. Now, that large vacant space is on its way to being filled with new businesses, as the plaza owners have subdivided the property and begun the search for new tenants. Two businesses have moved in so far, Minnows Childhood Goods and Belfast Maine Real Estate, and Renys Plaza landlord John Reny said he’s hopeful other businesses soon will follow. Thomas Kittredge, the Belfast economic development director, said he’s excited to see more development along the Route 3 corridor. Two businesses located in the vicinity — the Wendy’s fast food restaurant on Route 3 and Sweet Frog frozen yogurt in the Renys Plaza — have closed in the last month or so, although Reny said he anticipates seeing something happen soon in the Sweet Frog space. “It’s great to see the property owners be more aggressive in courting more business,” Kittredge said of Renys Plaza. He said that in general, the Belfast economic outlook is positive, despite the recent closure of the two eateries. “I think we’re still doing pretty well,” he said. 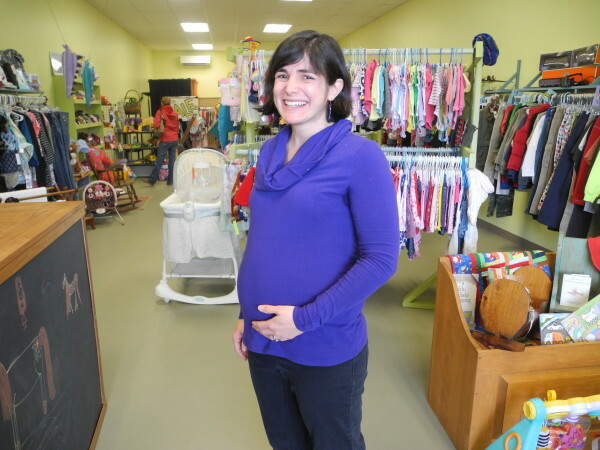 Minnows owner Libby Dimond said she moved her quality children’s clothes consignment shop to the new location from her former home in downtown Belfast because of the greater opportunities available in Renys Plaza. The new location should give her store more of a chance to grow, Dimond said. She started it as a pop-up shop in March 2014, and has been steadily adding more consignment clients and customers. Dimond, who also sells toys and children’s books, said she seeks to keep prices affordable and to make her store a welcoming place. “It’s definitely a feel-good business,” she said. Her next-door neighbor in the plaza, Charlie Hunter, has sold real estate in Maine for 20 years and said he wanted to open a new firm that is not affiliated with a national company. Hunter said that the plaza is a perfect location for the new real estate office, which he shares with two other real estate agents. “Everybody from Waldo County comes into this plaza,” he said. Minnows Childhood Goods and Belfast Maine Real Estate will hold a grand opening and ribbon cutting ceremony from 1 to 4 p.m. Saturday, Dec. 12, at Renys Plaza. The event will feature snacks, a visit from Santa Claus and a special guest, Waldo County race car driver Travis Benjamin.